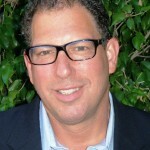 Toronto/Los Angeles – July 30, 2014 – Tricon Films & Television continues to grow its boutique Kids & Family division with the appointment of Frank Saperstein as Executive Vice President, Kids, Family & Animation. In this new position, Saperstein will oversee all aspects of production and programming in the kids & family business, leveraging the company’s extensive development and production capabilities, while further expanding the division’s strategic partnerships. In addition, Frank will be working closely with the previous interim head of kids & family, Jon Rutherford, who will continue to oversee Tricon’s international distribution & business development across all genres; and Ashley Rite, who’s role remains the same as head of kids development and will continue to work in distribution on pre-sales and acquisitions, reporting to both Saperstein and Rutherford. Saperstein is based in the company’s LA office, reporting to Tricon’s President, Andrea Gorfolova. Frank Saperstein is an Annecy Award winning and Primetime Emmy nominated Executive Producer, Writer and Director who most recently served as CEO/Executive Producer for his own boutique development and production shingle Surprise Bag, Inc. Previously, Frank served as SVP of Family Television for Entertainment One, SVP of Kids and Animation for Blueprint Entertainment, Co-CEO/Creative Director of PASI (Philippine Animation Studio, Inc.) and as a Development Executive with VH1/MTV Networks. Frank’s credits include gender-bending classics “Pee-wee’s Playhouse” (CBS) and “Ren & Stimpy” (Nickelodeon), as well as a stint as Producer/Director with Prince’s Paisley Park Studios. Tricon Films & Television is one of North America’s leading producers and distributors. With offices in Toronto and Los Angeles, Tricon has quickly emerged as a prominent supplier of award winning factual, scripted and children’s programming that continues to be successful around the world. Tricon’s distribution arm features a broad catalogue of high quality, multi-platform content including primetime scripted drama and comedy, kids, lifestyle, factual and documentary series and specials. This entry was posted on Wednesday, July 30th, 2014 at 9:51 am	and is filed under News. You can follow any responses to this entry through the RSS 2.0 feed.